The KTM FREERIDE is a unique motorcycle. It has enough peformance and capability to tackle "extreme" terrain, while providing a low seat height, light weight, and an easy-to-ride character. It combines attributes of a TRIALS bike and a TRAIL bike. The result is a soft and springy suspension character. This setting performs well for very slow speeds (0-8 mph), but it is not good for typical trail riding. At higher speeds, or during more aggressive riding, the free-moving suspension makes the bike handle unpredictably due to poor cornering/chassis balance and a harsh response to sharp impacts. 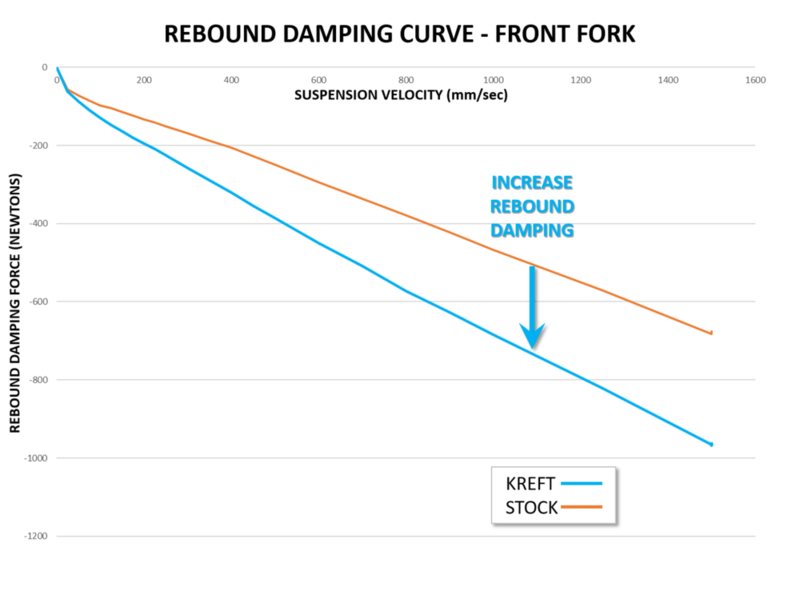 Kreft Moto's suspension modifications transform the Freeride into bike capable of attacking single track and extreme obstacles.